We are keen on security - recently we have published the Node.js Security Checklist. As a sequel, let's dive deep into the world of cookies, tokens and other web authentication methods. If you’d like to learn more about the basic authentication strategies with Passport.js, check out our beginner guide here. We are going to start with the most basic one, the HTTP Basic authentication, continue with cookies and tokens, and finish up with signatures and one-time passwords. HTTP Basic authentication is a method for the client to provide a username and a password when making a request. Implementing it is pretty easy in Node.js as well - the following snippet shows how you can do an Express middleware to do so. Of course, you can do it on a higher level, like in nginx. Looks simple, right? So what are the drawbacks of using HTTP Basic authentication? 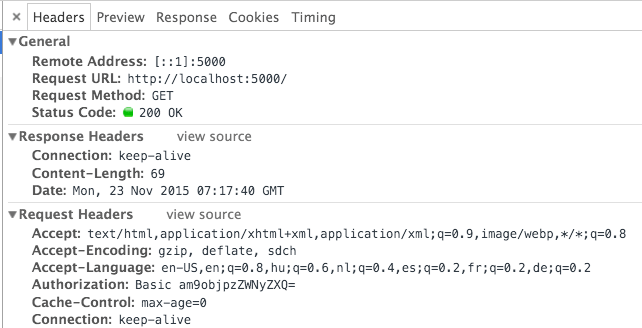 When a server receives an HTTP request in the response, it can send a Set-Cookie header. The browser puts it into a cookie jar, and the cookie will be sent along with every request made to the same origin in the Cookie HTTP header. To mitigate the possibility of XSS attacks always use the HttpOnly flag when setting cookies. This way they won't show up in document.cookies. With signed cookies, a server can tell if a cookie was modified by the client. Nowadays JWT (JSON Web Token) is everywhere - still it is worth taking a look on potential security issues. First let's see what JWT is! If you are writing APIs for native mobile applications or SPAs, JWT can be a good fit. One thing to keep in mind: to use JWT in the browser you have to store it in either LocalStorage or SessionStorage, which can lead to XSS attacks. Either using cookies or tokens, if the transport layer for whatever reason gets exposed your credentials are easy to access - and with a token or cookie the attacker can act like the real user. A possible way to solve this - at least when we are talking about APIs and not the browser is to sign each request. How does that work? To make it work, both the consumer of the API and the provider have to have the same private key. Once you have the signature, you have to add it to the request, either in query strings or HTTP headers. Also, a date should be added as well, so you can define an expiration date. Why go through all these steps? Because even if the transport layer gets compromised, an attacker can only read your traffic, won't be able to act as a user, as the attacker will not be able to sign requests - as the private key is not in his/her possession. Most AWS services are using this kind of authentication. 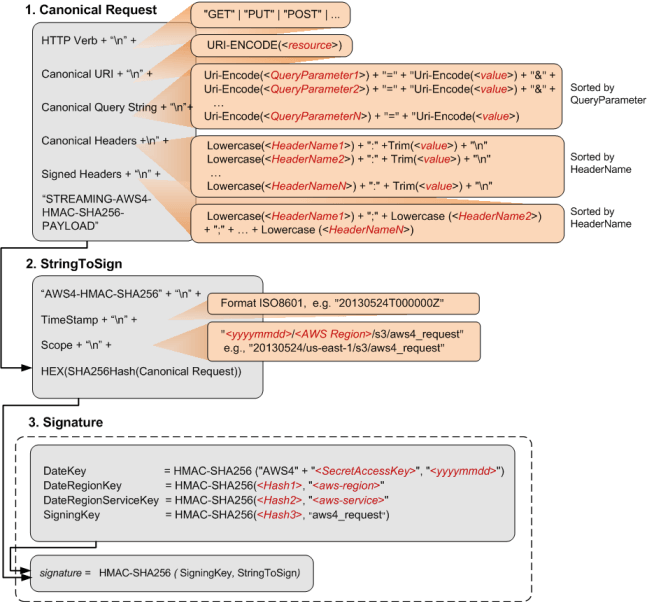 node-http-signature deals with HTTP Request Signing and worth checking out. HMAC-based One-time Password Algorithm, based on a counter. These methods are used in applications that leverage two-factor authentication: a user enters the username and password then both the server and the client generates a one-time password. In Node.js, implementing this using notp is relatively easy. Which web authentication method to pick when? If you have to support a web application only, either cookies or tokens are fine - for cookies think about XSRF, for JWT take care of XSS. If you have to support both a web application and a mobile client, go with an API that supports token-based authentication. If you are building APIs that communicate with each other, go with request signing. You have additional thoughts or insights on the topic? Share it in the comments.